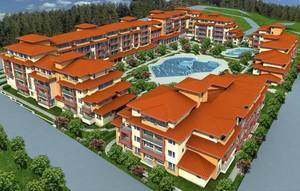 facilities, laundry, 24 hrs security and maintenance, private access, green areas, parking lot pletion date � June, 2008. Reservation fee:2500euros. Mobile: 359 895291825.